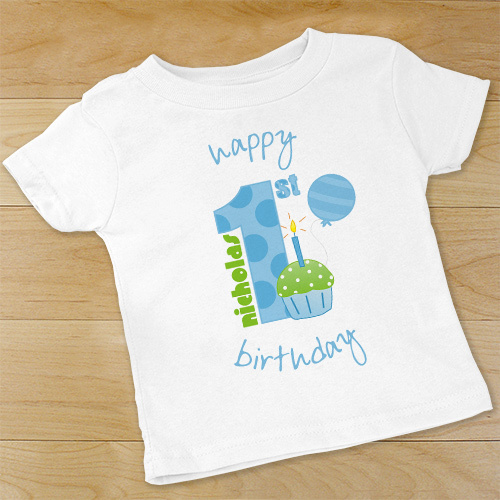 Your baby boy will enjoy his first birthday and look great in his Personalized 1st Birthday Bodysuit or T-shirt. He is sure to enjoy the cake and everyone's gifts while you see the precious smile on his face. This birthday design includes personalization of any name are perfect Personalized Baby Gifts for any occasion. All Customized Baby Gifts are customized FREE and ship FAST! 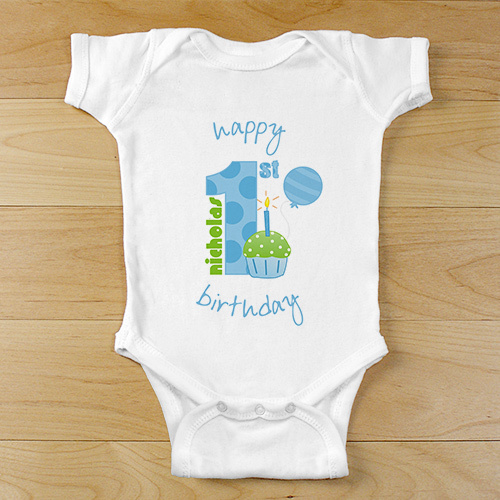 Great item for a 1st birthday! Love that my grandsons name could be on the shirt too! Just wish it was sold in long sleeve for a February birthday! Was great for my son’s birthday. Arrived on time and looks really good. So cute! Fits true-to-size. Love it!